Editors note: This is an old story I published years ago. It must have gotten lost over time but worth reposting. The basic story and the castle never changes. 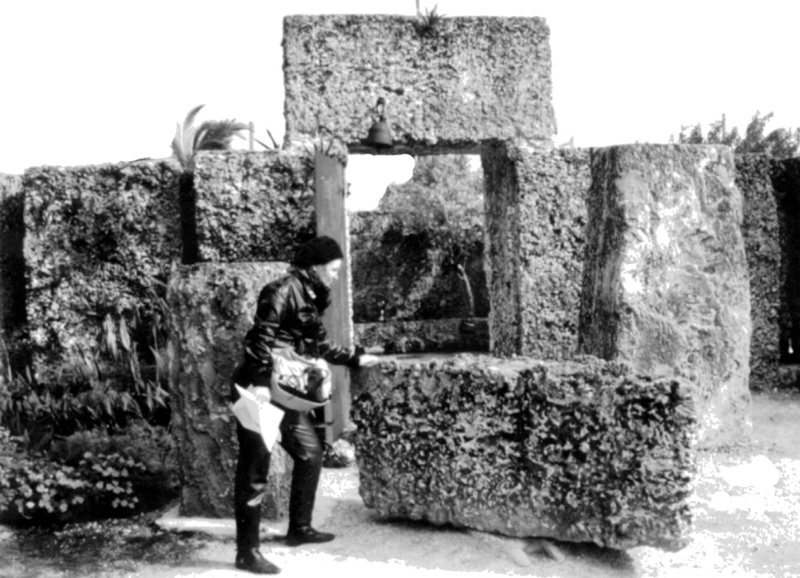 Thus, The Coral Castle could also be called Loves Labor Lost. Fortunately for us, it's not lost. It's located in Homestead. These gigantic coral rock formations, some weighing as much as 29 tons, were created by Ed who stood five foot tall and weighed 100 pounds. What makes these sculptures even more miraculous is that Ed Leedskalnine used no power tools, just simple block and tackles, winches and wedges, many of them homemade from junkyard parts. He worked alone, usually at night and told no one his secret for moving the giant rocks, some of which weighed over 29 tons.I was able to move a massive 9 ton gate with one hand. Over twenty years, he created a castle and all its furnishings out of the solid rock he quarried. He dedicated the entire estate to "Sweet Sixteen", often referring to her as if she were due to arrive any day. The walls of the castle are made of giant stone with the cracks between filled so perfectly by smaller ones that you cannot see light between them. He fashioned a bedroom with beds for himself and "Sweet Sixteen" as well as children's furniture for his hoped for children. Many men put their loves on a pedestal. Ed fashioned a throne for her as well as for himself. He also made one for his future mother-in-law. This he made the most uncomfortable in the castle. Perhaps Ed had something of the realist in him after all. His romanticism shows most in the Feast of Love Table. It is heart shaped and weighs 5,000 pounds. However, his crowning achievement is the Nine Ton Gate. Despite its weight, the gate can be turned by a child with one hand and fits within a quarter of an inch of its surrounding walls. During his lifetime, visitors marveled at his workmanship but he never reveled how he did it. Some have surmised Ed knew the secrets of the pyramids. Many of his carvings do show an interest in astronomy. The Polaris Telescope, which he created out of almost thirty tons of rock, focuses perfectly on the North Star. His Sun Dial is so accurate you can determine the time within one or two minutes. The Crescent Moon and Planets, the moon alone weighs 23 tons, The Moon Fountain, containing three phases of the moon, and the Great Obelisk, larger than the great upright at Stonehenge, all indicate a knowledge of the heavenly bodies. For a man so obsessed, Ed had a sense of humor as evidenced by the Florida Table. It is a twenty foot long table shaped like the Sunshine State and surrounded by ten stone chairs. Ed envisioned the governor at the head chair and senators and representatives at the others, discussing ways to raise taxes. The only person with whom Ed would have gladly shared his knowledge was not interested. 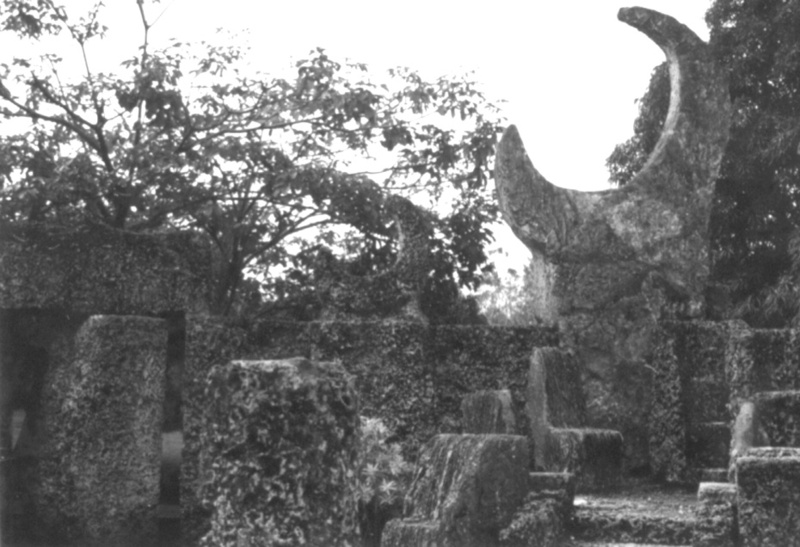 Although she knew of the Coral Castle for many years, "Sweet Sixteen" never visited it. When Ed died of stomach cancer in 1951, he took the secret to his grave. 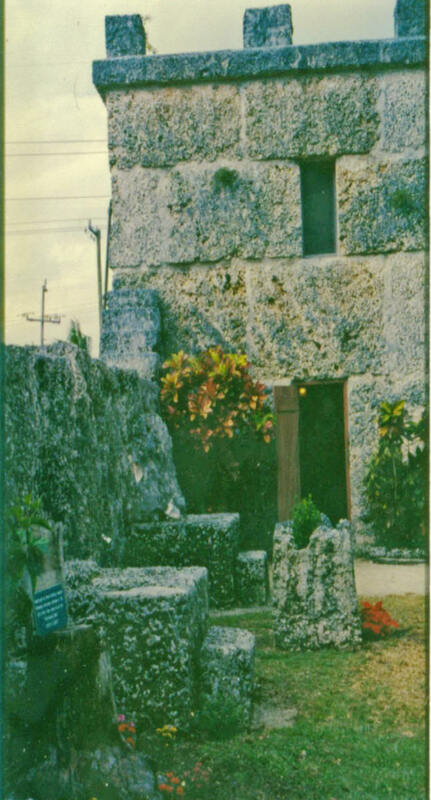 In 1984, the Coral Castle was placed on the National Register of Historic Places. It alone makes Homestead, Florida worth a visit. But there are lots of other reasons to visit this South Florida area. Of course, the white sand beaches and sparkling ocean waves are a big attraction, but there is a lot more. Homestead and Florida City are a treat for eyes weary of snow and ice. The entire area is abloom throughout the year. Even when the rest of the country is locked in winter's fiercest grip, bright red tomatoes, vivid yellow squash, orange trees drooping under their succulent burden, all these and more burst from the earth.If you haven't been to Homestead/Florida City yet, you don't know what you are missing.